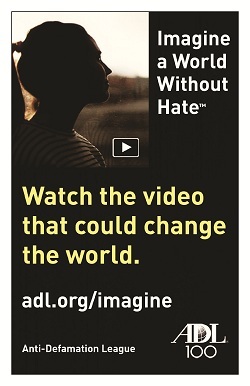 5.5”x 8.5” postcards (one-sided) to promote ADL’s “Imagine a World Without Hate™” video PSA. This piece was created to provide regions with a leave-behind piece for “Imagine” at events, meetings and programs. This postcard may also be distributed through other community organizations, houses of worship, and schools.